On behalf of us all in Iverk Show we congratulate Joe Connolly and everyone at Red Mills on the opening of your very fine new shop at Cillin Hill in Kilkenny. We wish you every success in the future. 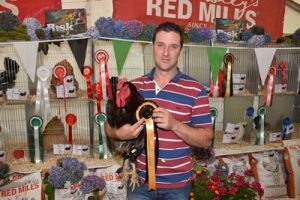 Red Mills have been and continue to be great supporters and sponsors of the Iverk Show. In fact Red Mills have been sponsoring classes for longer than anyone else. Without the generosity of all our sponsors the Iverk Show would not have lasted since 1826 – in fact longer than Red Mills! !